FireFox adds Forget Button, you need to run Windows updates, Twitter and Facebook changes and a robot valet. We (as in humanity) landed on a comet! Philae Lander successfully landed on a comet this Wednesday. If the comet landing took up your news feed, here are some tech news items you may have missed this week. Delete your browsing history in FireFox with the click of a button. New to the FireFox browser, the Forget button wipes out your recent browsing history, including cookies, for a timeframe you set. Rumoured to also be in the pipeline is a stricter Do Not Track option that will actively block web content that ignores your request to stay off the radar. If you don't follow us on Facebook or Twitter, you may have missed our timely post advising everyone to run Windows updates on 12 Nov. A 19-year-old bug (yes, 19 years old!) has finally been found and fixed and a critical security update released by Microsoft. Anyone using Windows, whether it's on a PC or Server, needs to run Windows updates to apply these critical updates. If you don't, you leave yourself vulnerable to attackers who can use the bug to gain remote access of your PC or Server. When you go to shut down your computer, there will be a little shield icon to show that updates will be run on shutdown. Yes, there's Vine. Yes, you can attach video links to Twitter, but what if you could record, edit and share videos directly on Twitter? 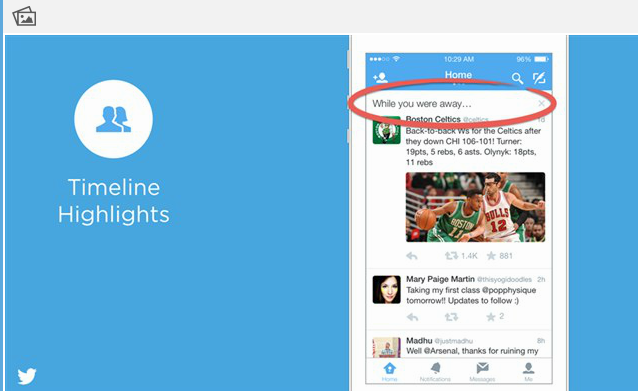 That's one of the improvements Twitter is looking to roll out in the first half of 2015. Instead of your Twitter stream just showing what's happened recently, Twitter will start to curate tweets for you; pushing tweets they feel are relevant to you to to the top, even if they're not the most recent. How? By looking at who you follow and engage with, Twitter will create a highlight reel of tweets to catch you up on what you've missed. Twitter's going to update its platform so you can take public conversations private and it's happening as early as next week. Next week, users will begin to see that they can share and discuss Tweets through direct messages. In addition to updating its Terms and Conditions, Facebook has also released Facebook Places - a discovery tool to find places within a city. If you run a restaurant, shop, entertainment space etc it looks like it'll be worth investing in Facebook check-ins and reviews. Dusseldorf airport is piloting having a robot valet park your car for you.